Very little figure painting was accomplished this past week. Non-hobby related duties took precedence, but I managed to put together a few movement trays. 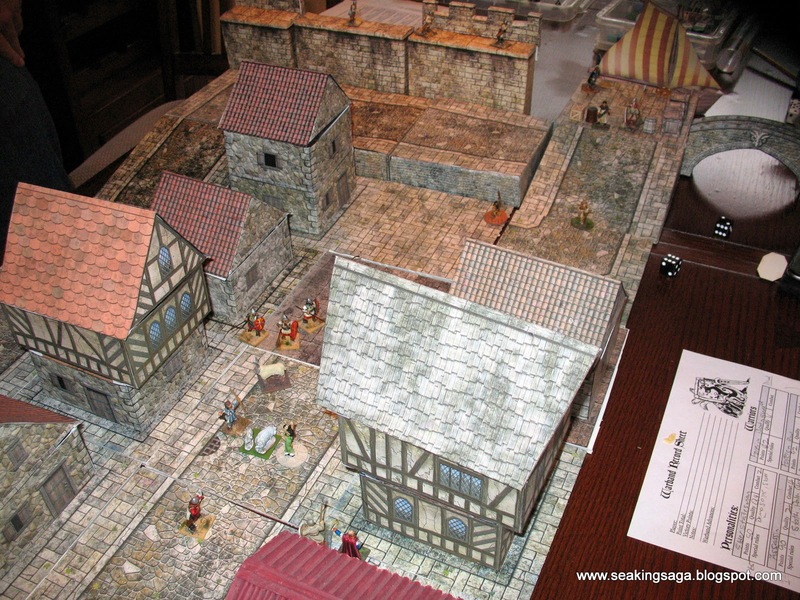 I did also play a new skirmish game which I think shows some uses for paper terrain for the historical wargamer. The rule set was a Song of Blades and Heroes variation based on urban violence in the Ancient era - think HBO's Rome TV series. It did not take much effort to convert some of the character types to medieval Byzantines. Different characters have different special abilities, and what appealed to us was game mechanics involving the civilian characters. If violence occurs near civilians, they may either run or join in. Also, characters with certain abilities can try to recruit civilians to their side. 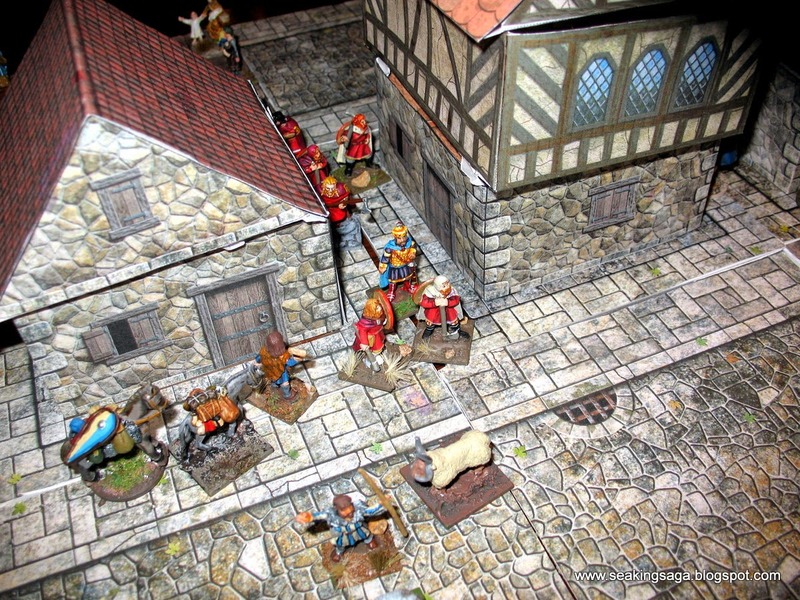 Buildings can be entered and exited, and rooftops can be an additional combat surface. As with all of the SBH rules, it is fast moving and easy to pick up. In this scenario, an emperor's relative has stopped at a small Mediterranean or Black Sea port and is heading from the market back to the jetty where a small boat can take him to a ship. Unfortunately, somebody high up wants him dead and the local governor, the Praetor, and some spearmen are to eliminate him. 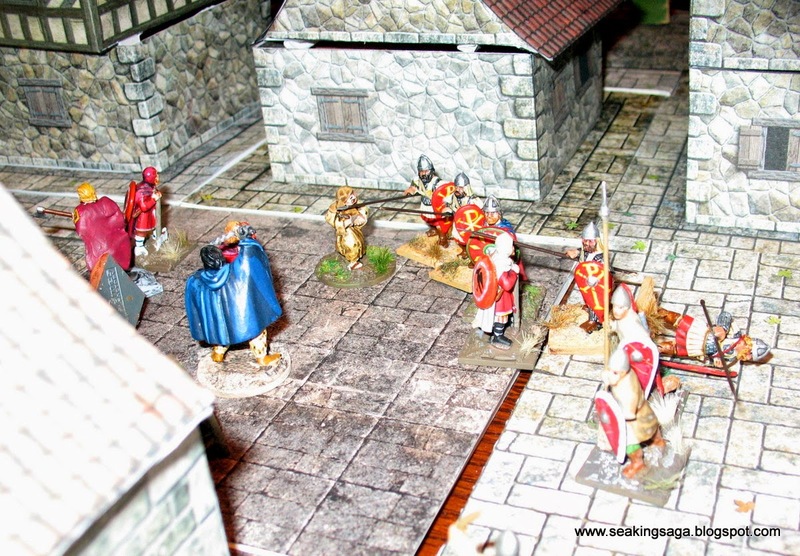 The town guard (archers on the wall) are not in on the plot, but might be recruited to either side. 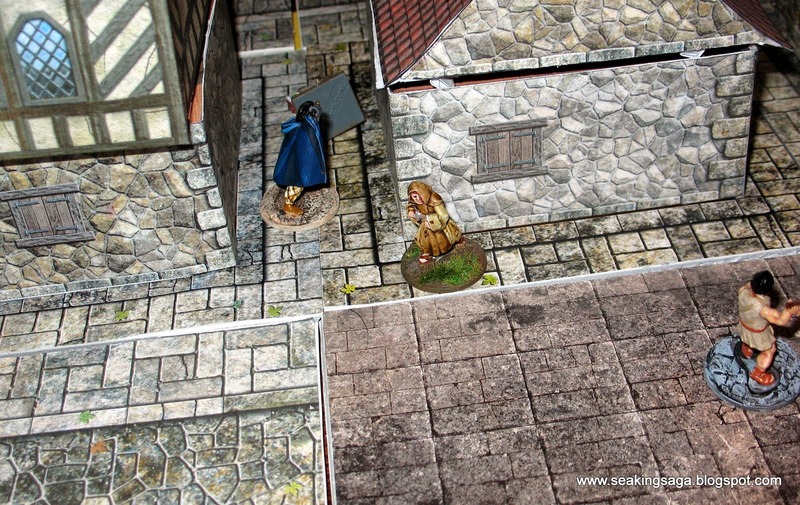 The two side's assassins pursue each other through an alleyway. The terrain is mostly from Fat Dragon. 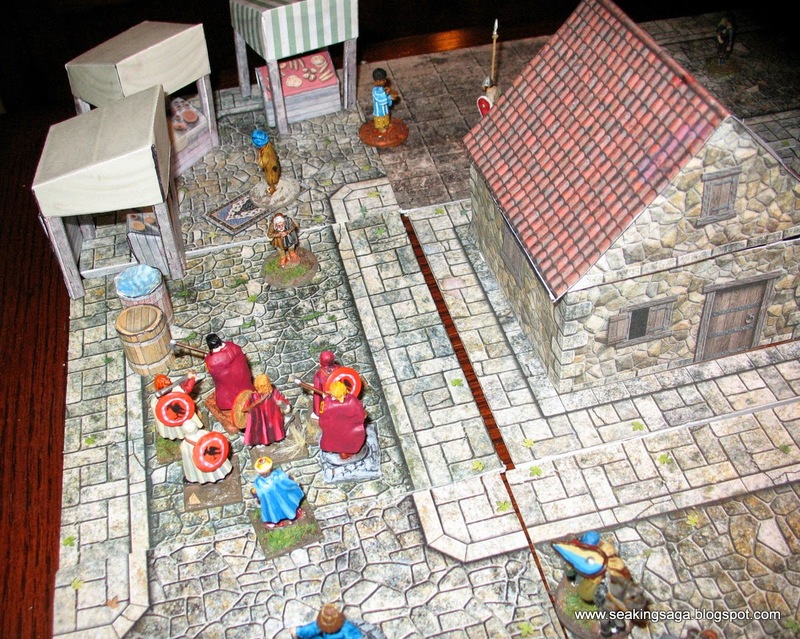 Many of Fat Dragon's PDFs have different layer options so tile roofs and shingles give the buildings the medieval Mediterranean look. It's not exact by any means, but even with the cost of inkjet cartridges, it is less expensive than resin buildings and streets. On the downside, construction is time consuming and getting an exact fit can be fussy as some of my pics show. Ganesha Games has Song of Shadows and Dust as does RPG Now, which is where I bought the Fat Dragon terrain. Good looking game. I've got the rules but haven't played yet.